I was a UP Dormer. and I literally lived inside the campus. We have two convenient stores: The UP Coop (UP Consumer’s Cooperative Store) and SC (Shopping Center). the two buildings are beside each other, near Kalayaan Residence Hall and beside the Infirmary. I started crocheting again when I was taking my Master’s Degree. (Mind you i stopped after a semester). 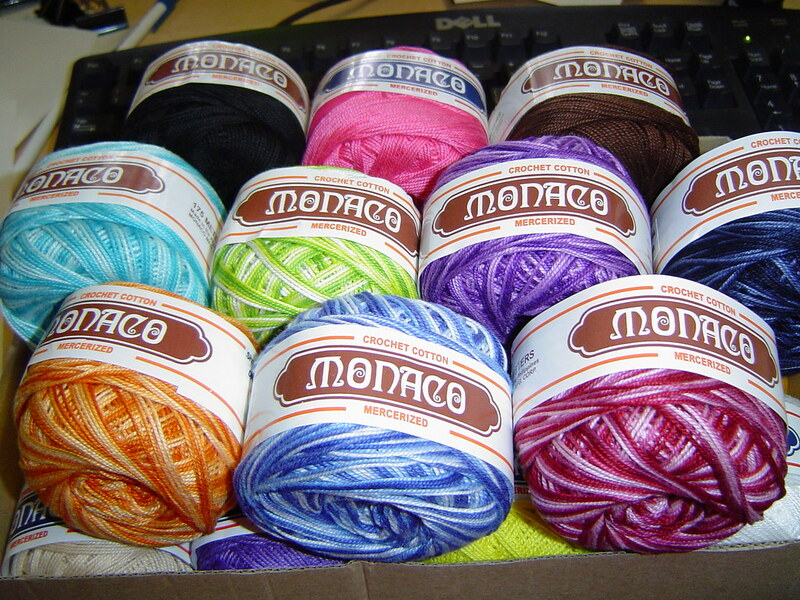 I was always in the dormitory and I started fancying crochet (besides accessory making) when I saw a shelf of crochet threads (Monaco) on the mezzanine of Coop. The yarns are of variegated colors. They also sell crochet hooks. I bought two balls of yarns and a hook and wondered if i can still crochet something. The last time I crocheted was back in highschool. And that was because we had a project. Soon, i started incorporating crocheted accessories in our mini accessory business. We hit off one bazaar. A lady bought several crocheted earrings and bracelets. My hands sore all throughout the day. Since then it became a habit. Almost an obsession. Specially when I left graduate school after a semester and bummed for one whole month in our home at Bulacan. I just crochet everyday (besides from sketching and writing) It was what I only do.